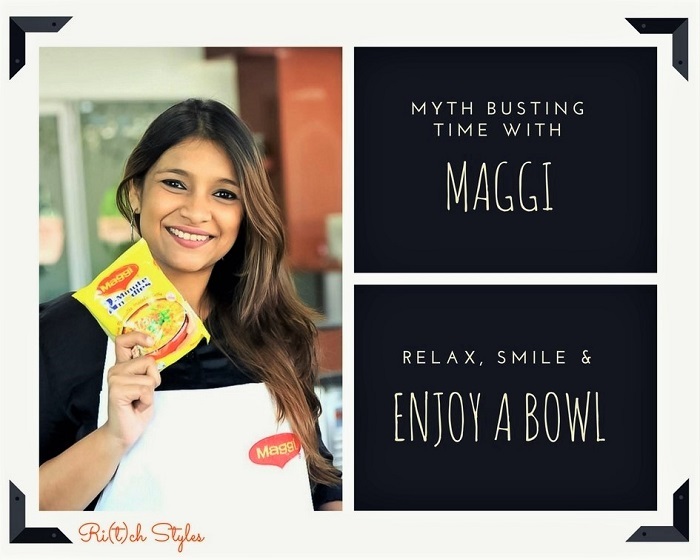 Ri(t)ch Styles : Indian Fashion, Beauty, Lifestyle and Mommyhood Blog: Myth Busting Time with Maggi - A visit to Nestlé's only Instant Noodles R&D Centre in the world! 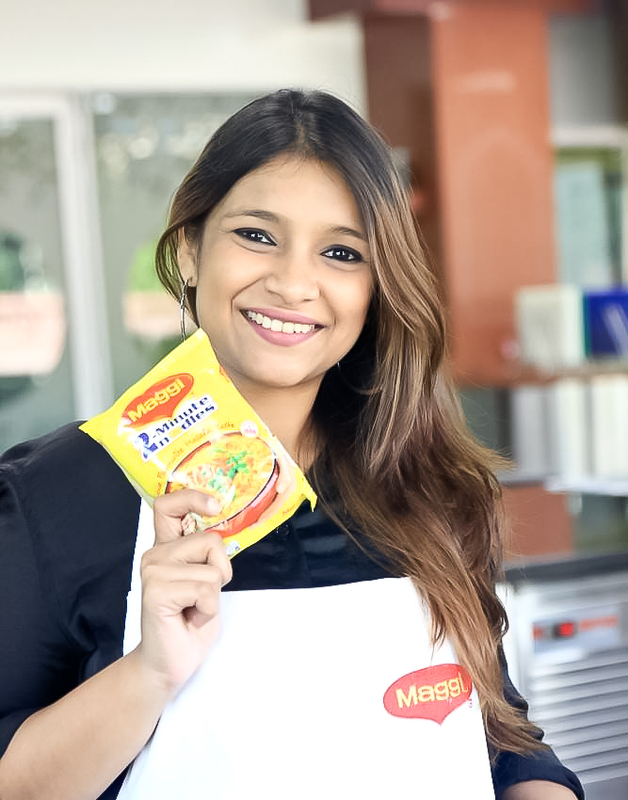 If I sit back and recollect memories from my childhood, some of the greatest bonding sessions I've had with my childhood friends has been over food, and Maggi definitely played a major role in a lot of those memories! Slurping away we would giggle and watch cartoons, and trust me even today those are some of the greatest friendships I have! Be it family, PS or Aryaa - we all are Maggi lovers. In fact all my besties also share my love of Maggi which kind of puts me to think, do I need a tick on Maggi to love people in my life? Well, maybe! Like Cesar Chavez said above, I gave them my heart! 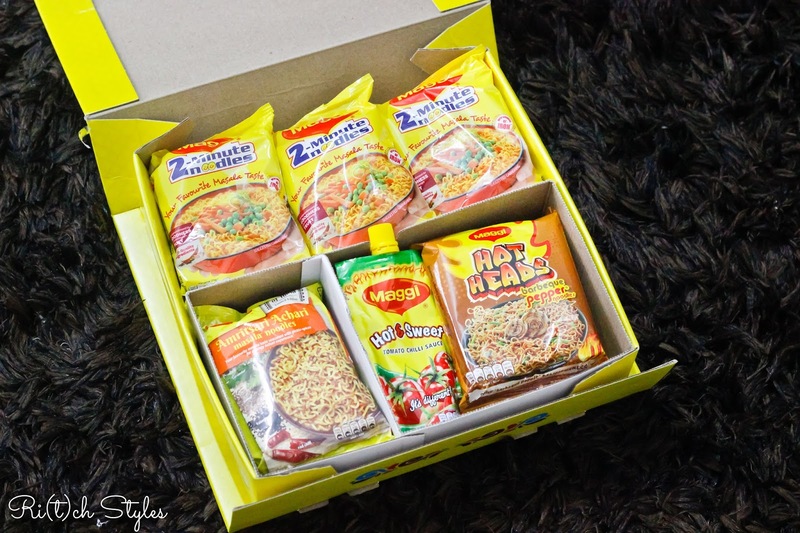 My loyalty to Maggi is serious business for me and when the Maggi ban happened I was shocked. As a matter of fact, the day it came back online, me and my besties ordered the max limit that we could and stocked up! I was sure that Maggi would bounce back and today it is back at 60% market share of the Rs 4,000 crore instant noodle market, while others are taking years to gain even a small percentage. 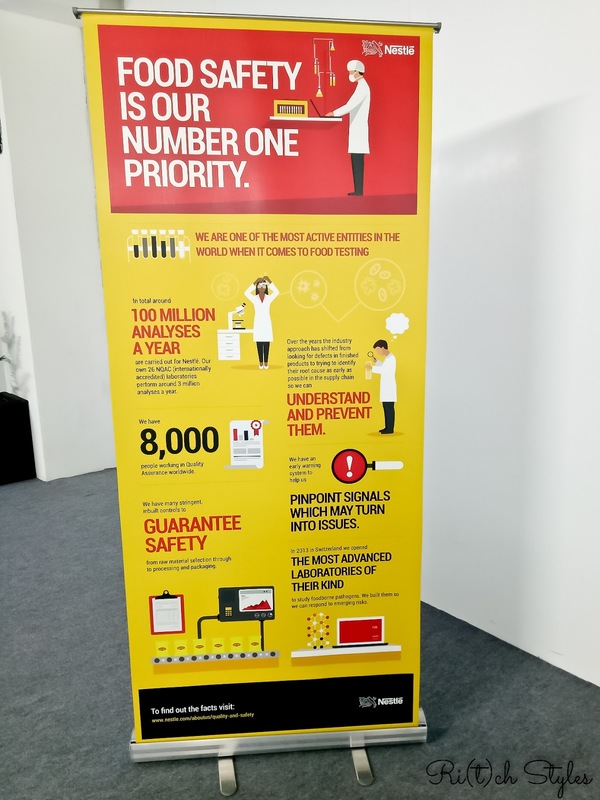 However people still question my loyalty because the doubts in their minds never end, and so when I was offered the chance to visit Nestlé's only Instant Noodles R&D Centre in the world at Manesar in Gurgaon, it was the perfect opportunity to clear all doubts and bust all myths! The Nestlé R&D Centre supports all markets worldwide with new product development, regional consumer focus and manufacturing excellence for their Instant Noodles offering. 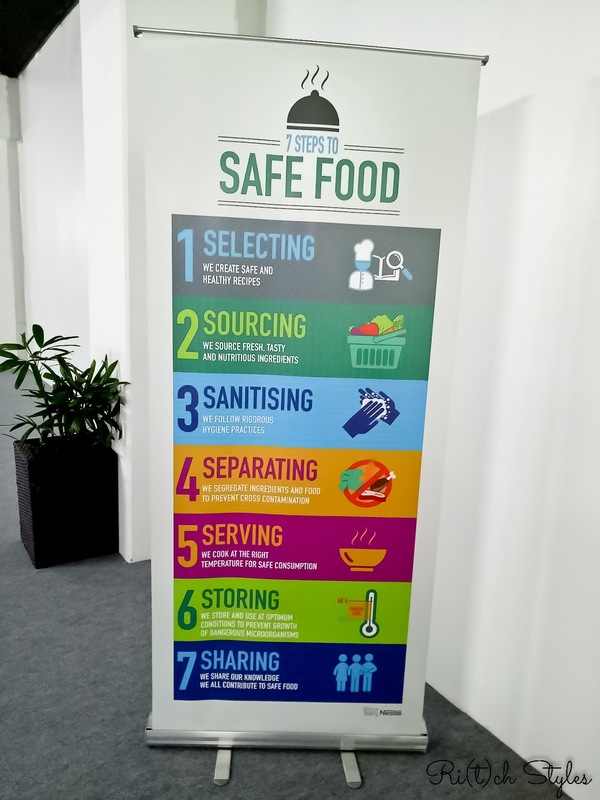 It is also a Centre of expertise for local Indian cuisine and offers assistance to Culinary, Confectionery, Nutrition and Dairy products in the South Asia Region (SAR). 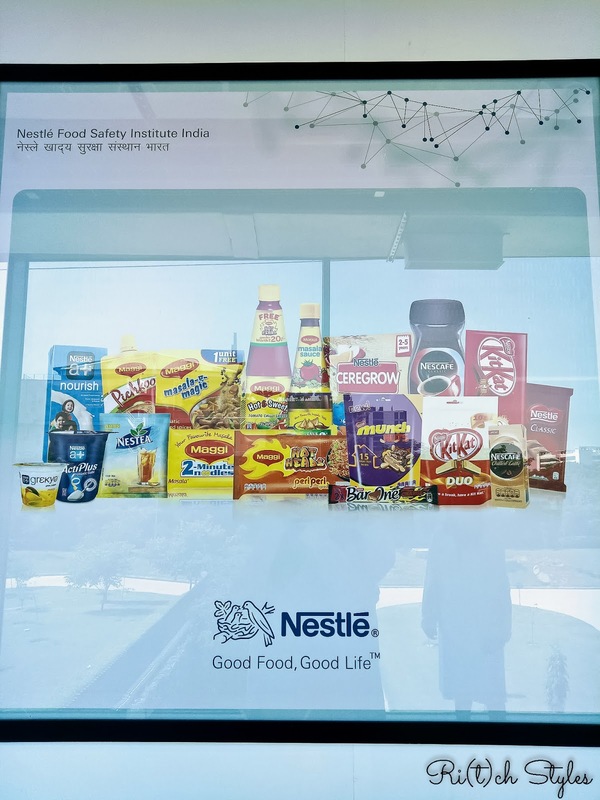 Above all this it houses what is most vital - the Nestlé Food Safety Institute, India (NFSI) because the commitment on food safety and the quality and safety of their products is a top priority. I was excited through the day, and I know enough people who would die to be in my place and spend their day in such close proximity with one of their favourite brands. After a warm welcome into Delhi, we arrived at the Nestlé R&D Centre to be whisked away on a tour of the facility, labs, consumer test zones and 'Culinarium'. 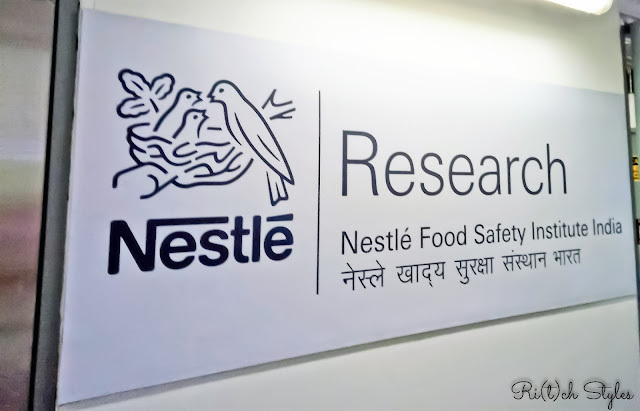 I was really assured to see how seriously Nestlé takes food safety and tests materials for contaminants (heavy metals, pesticides, mycotoxins, adulteration) as well as the finished product for the right balance of proteins, carbohydrates, fat and sodium. 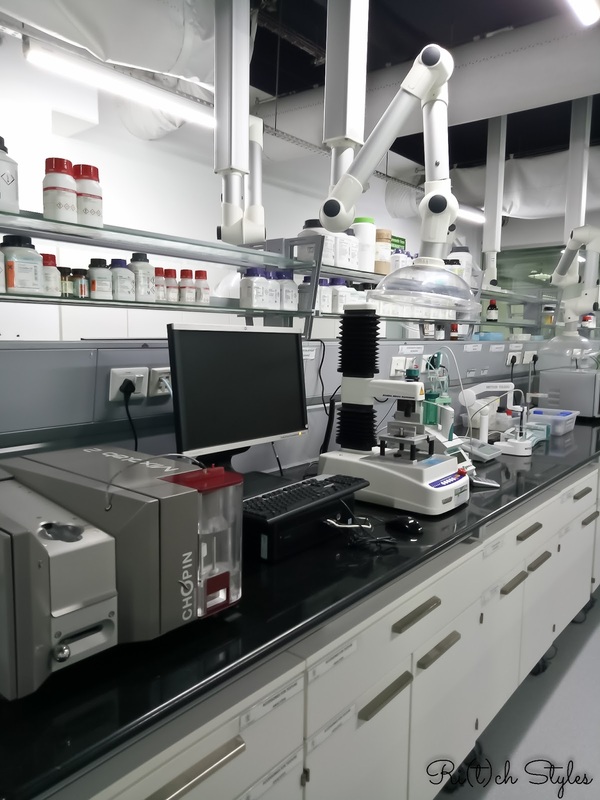 It was interesting to see the level of technological expertise that the R&D Centre possessed, with some of the equipment being the only one in the country. 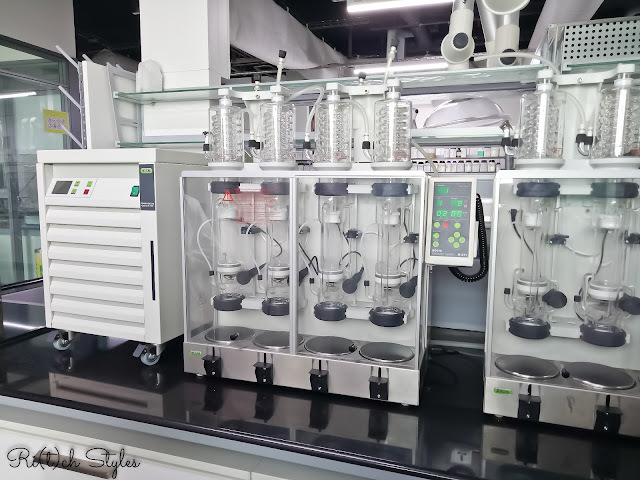 It was also interesting to note in the Packaging Lab that packaging materials change as per countries, weather and content for different variants of the same product across the world. 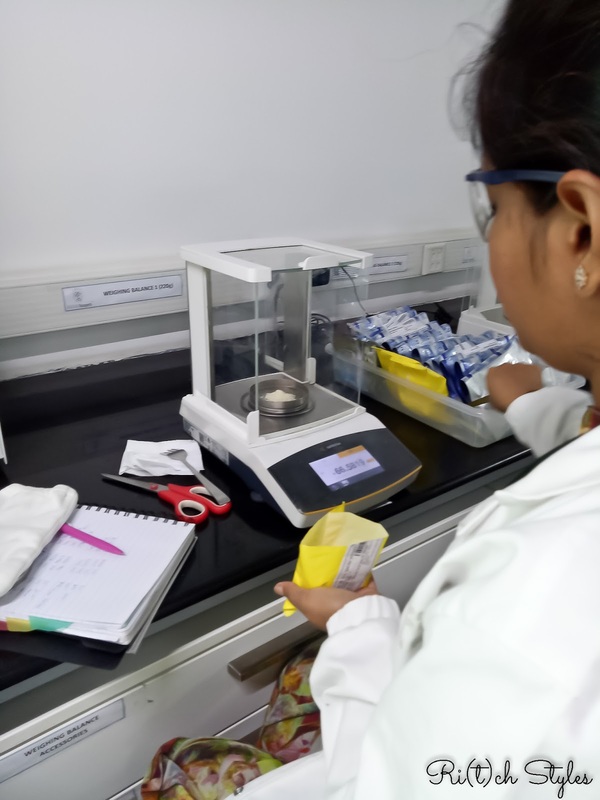 Did you know, the packaging is recyclable?😊 Getting a look into how products are researched, tested, market tested and then finally scaled up to be launched was quite something! 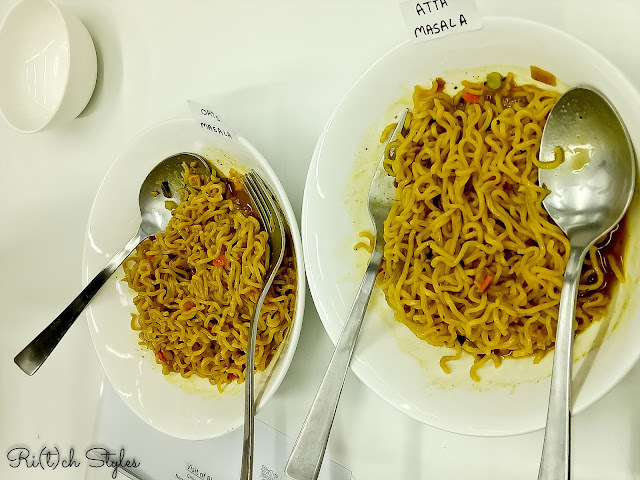 We ended our tour with the consumer test zone where at the Sensory Lab I finally tried the Maggi Oats Masala variant alongside my favourite Maggi Atta Masala, and I must say I finally have decided to give Oats a try but the Maggi way! People talk so much about eating healthy and I am sure we all have come across those who yap for the heck of yapping and try to show their intelligence on a topic without having an ounce of knowledge on it. Majority of the anti Maggi ones are those kinds - Trust me! Talking about eating healthy should always stem from the knowledge that no single food is healthy or unhealthy. 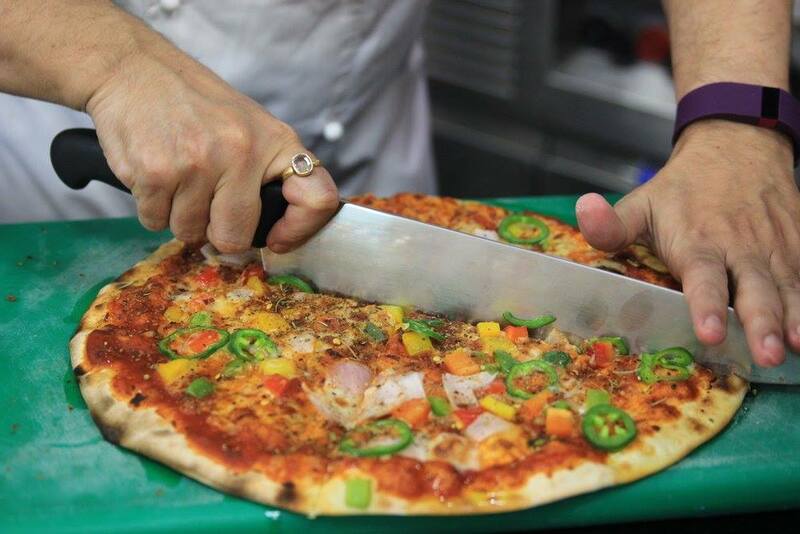 A balanced diet, moderation and an active lifestyle is the only way to ensure good health. 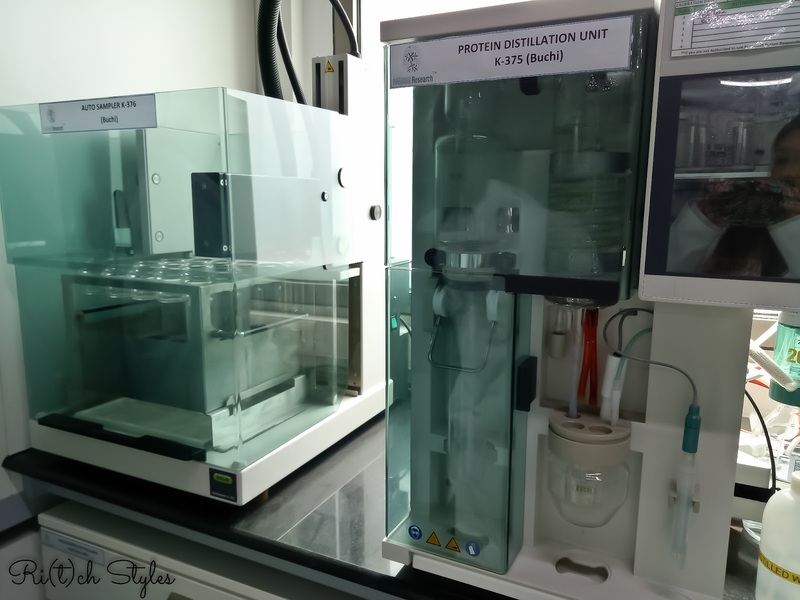 In order to have a balanced diet with the right number of calories, your carbohydrates intake should be 60%, protien intake shoud be 10-15% and fat intake should be 20-30% as recommended by Indian Council of Medical Research (ICMR). 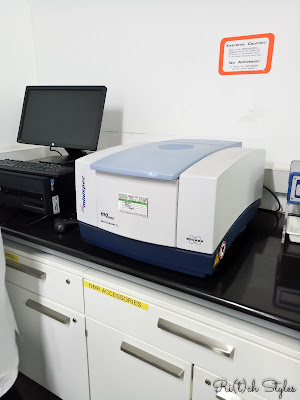 If you have ever read the nutrition chart behind a pack of Maggi, you will realise that it strikes a balance in the nutrients extremely well and is in line with recommendations made by ICMR. This includes even the newly launched Maggi Oat noodles that provides energy in this recommended ratio - carbohydrates (56%), protein (10%) and fats (33%). As a matter of fact, the iron fortified variant provides for 15% of our Recommended Dietary Allowance (RDA). So there goes the myth on the nutritional deficiency of Maggi. 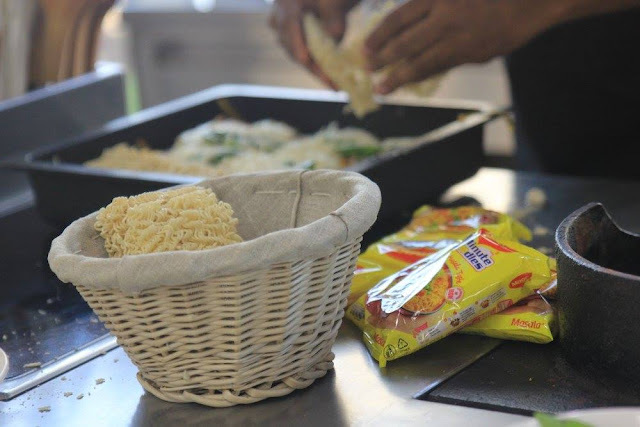 A Maggi Noodle cake goes through a certain manufacturing process so that it can be well preserved till the time it reaches consumers. For this Nestlé follows a certain step by step, 5 step cooking process before it is packed to reach our grocery stores. In fact it has a striking resemblance to how a lot of us cook food at home! 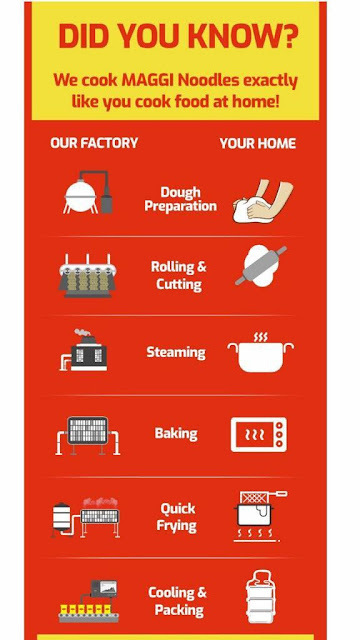 After the dough is rolled and noodles are cut, just how we make idli, similarly the Maggi noodles are also steamed. Once they are steamed, they are baked. Then the cake is quick fried either with air fryers or oil fryers for 60 to 90 seconds depending on the variant to reduce the moisture in the noodles. 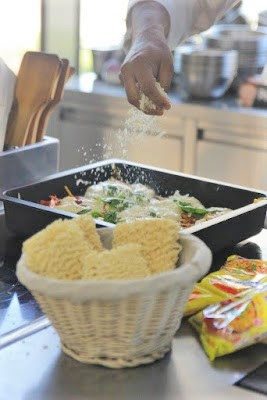 Quick Frying (note the term) also helps in cooking the noodles enough so that they can remain stable for a period of several months, and this technique also ensures that the Maggi noodles can be cooked in boiling water within just 2 minutes which ever variant they are. Deep fried noodles are what you get with your soups and chopsuey dishes and are not what Maggi is like! To do away your frying concerns further, 11 to 13 gms is the fat content per serve (per pack) in various Maggi variants which is well within the recommended proportions. It is about 1/5th of the total fat requirement for a person’s daily diet based on a Guideline Daily Amount (GDA) of 2000 calories for an adult. Try comparing the fat content of one bowl of Maggi Noodles (recommended intake) to that of common food items like a vegetable cheese sandwich, veg biryani, a dosa, or an aloo parantha and you will see, that it is still lower than these. In fact, Maggi has a 99% fat free variant in South East Asia, and I can't wait for it to get here! 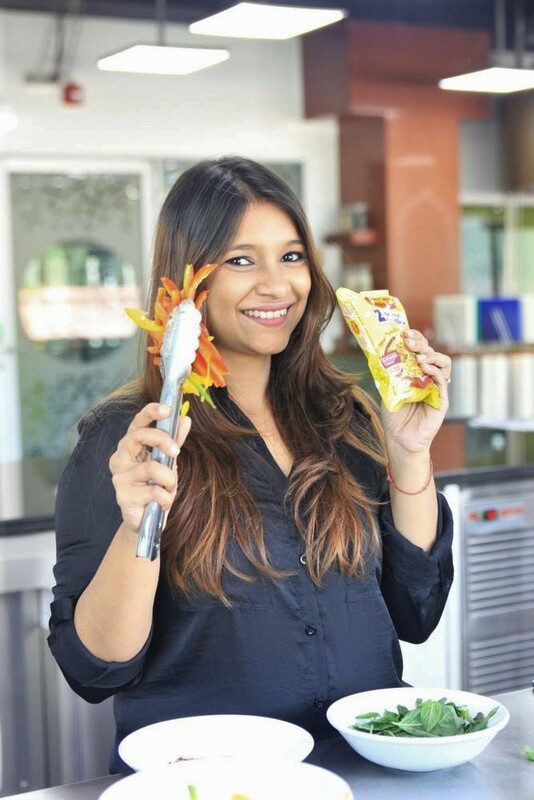 Maggi contains hydrolysed groundnut protein, onion powder and wheat flour for flavour enhancement, all of which contain glutamate. Chemical MSG is not added. Glutamate in MSG is chemically indistinguishable from glutamate present in food proteins and so the lab reports sometimes show the detection of MSG. 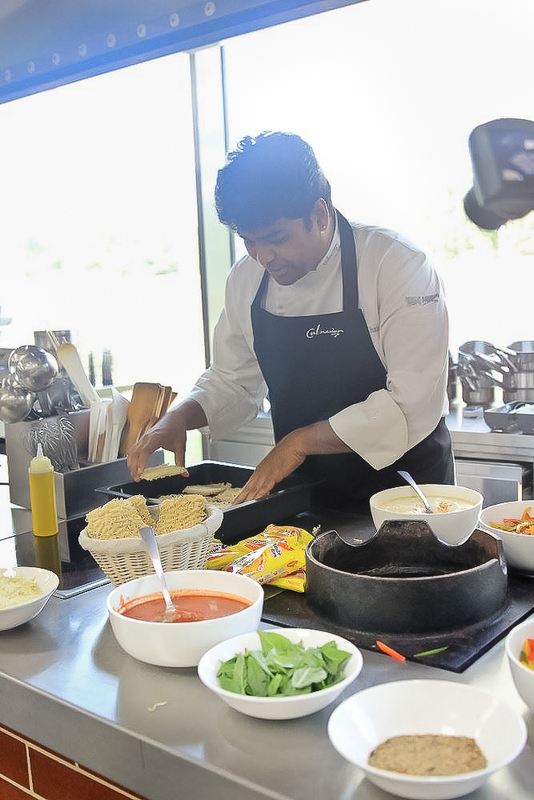 As far as Sodium is concerned, a 70 gms pack of Maggi has about 862.5 mg of sodium which makes up for 36% of our RDA. So keep the intake to just a pack on the days you want to have one. 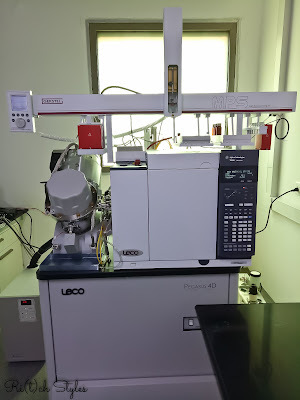 Now that I am done with the myths, let me take you to another fun part of our day. 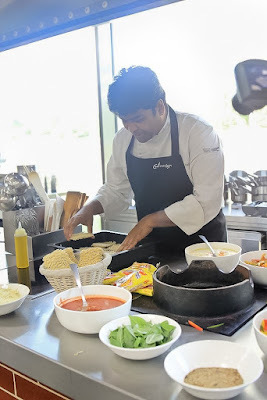 The time we spent post clearing all doubts - Lunch at the Test Kitchen or the 'Culinarium' as it is fondly known! 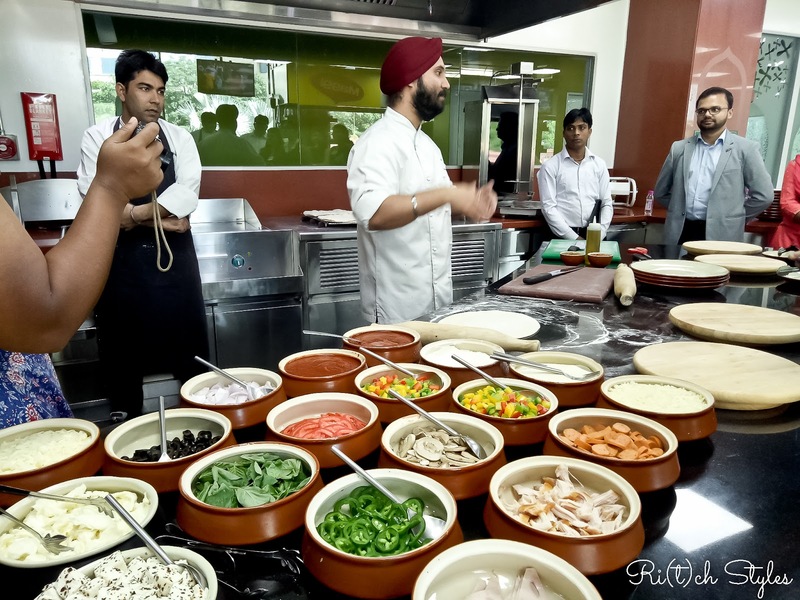 Master Chefs Zaheer Khan and Ishmeet Kapoor who manage the Test Kitchen and work on the various taste maker flavours and food seasonings from the Maggi brand, explained what happens there as well as treated us to some amazing lunch. The 'Culinarium' has the main kitchen and test zones where the initial recipes are created and tested before they hit the market. 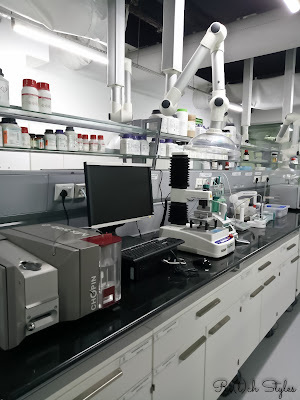 It is stocked with ovens, tandoors and state of the art kitchen equipment with which they work on spices and ingredients to create the magic mixes that form the core of the way Maggi and the seasonings taste. 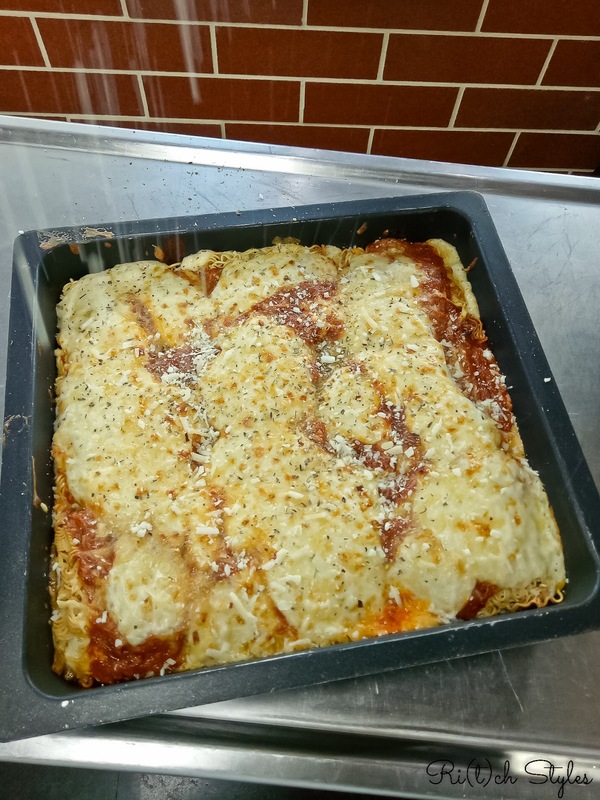 For lunch we were treated to amazing Maggi Lasagna (Yes! Lasagna made with Maggi), and pizzas including a desert version! 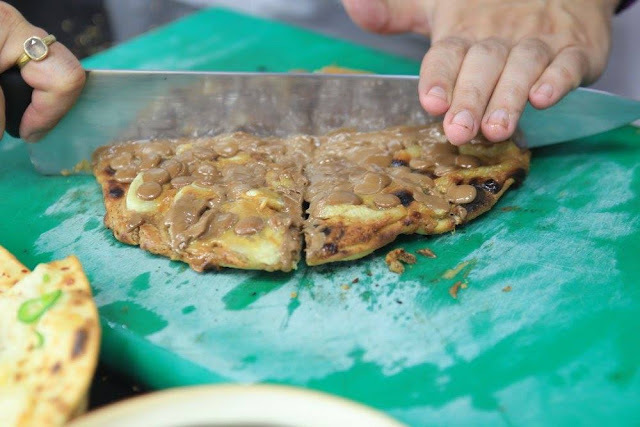 This Peanut Butter, Banana and Chocolate Pizza was the bomb! So as you can see, I stay the Maggi loyalist I am, even more convinced about the brand now! Offering those who have my heart the right food is supreme, and I wouldn't take a chance with myself or them ever. Thank you Maggi for affirming my faith in you! You will always be what I head to especially when the need for comfort food strikes! 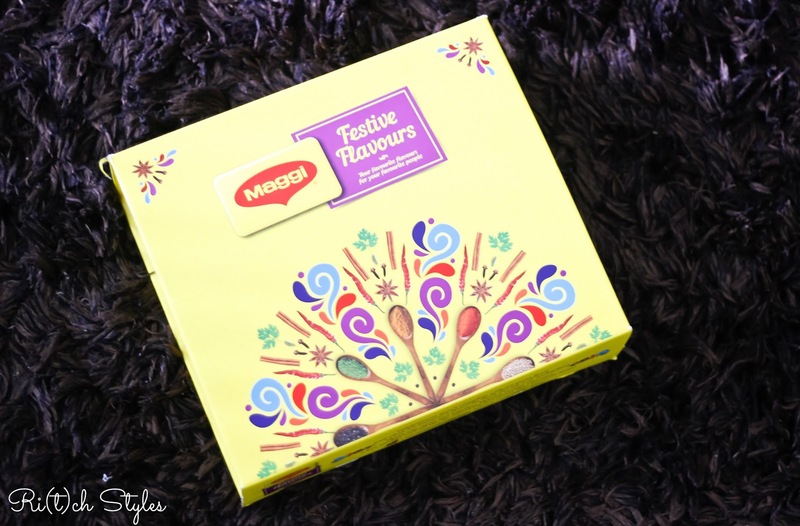 I also came back with a huge Diwali box from Maggi which by the way is their way of supporting the hand and foot mouth association by having their painting as the cover!